Interested in working at Brandfolder? Joining the Stanley Black & Decker (SBD) team means joining one of the world’s largest, fastest-growing, and most dynamic companies. Stanley Black & Decker is unique in that we’ve got a rich and storied history dating back to 1843, but that hasn’t stopped us from evolving into a vibrant, diverse, global growth company poised and ready for the future. Being a part of our team means living our core values of integrity, accountability, respect, speed, stretch, vision, and boundaryless. It means thriving in an environment of constant innovation and positive change. It means delivering tools, services, and solutions that the world counts on when it really matters. It means maintaining the highest standards in everything you do, every day. It also means joining a team that has been globally recognized as one of the most innovative, sustainable and rewarding companies in the world. With over 50,000 employees world-wide the Company has World Head-Quarters in the US and a Global Emerging Market (GEM) Head-Quarters in Miramar, Florida. 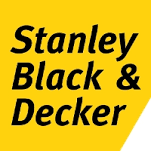 Stanley Black & Decker is looking for an inspired, proactive, and experienced Operations and Technology Manager to lead the selection, configuration and rollout of a new digital asset management system (DAM) as well as the launch of new DAM functional area. As a Marketing Technologist, this person is a hybrid who speaks both marketing and IT, and naturally sees the connections between them. In a world of greater intersections between disciplines and functions, and the need to break out of legacy organizational silos, this person’s main responsibility is to facilitate change. The ideal candidate must be an experienced technical leader in the DAM space, live and breathe digital, have a passion for new technologies, the ability to flex across various products/spaces when necessary and the aptitude to drive business initiatives. The Operations and Technology Manager is responsible for identifying business needs and determining solutions maintaining a focus on customer satisfaction, innovation, relationship building, change management and driving positive results. This individual will collaborate with brand and marketing teams, project managers, shared services and vendors to lead and manage all aspects of the initiative from strategy briefings and discovery through launch.